Just wanted to share a couple pictures of my kids playing our DM. I want to add a couple more to the collection so Mommy and Daddy can play too lol. Cute kids and very nice looking Demolition Man! Love that pin. So fun to see them enjoying the silver ball. 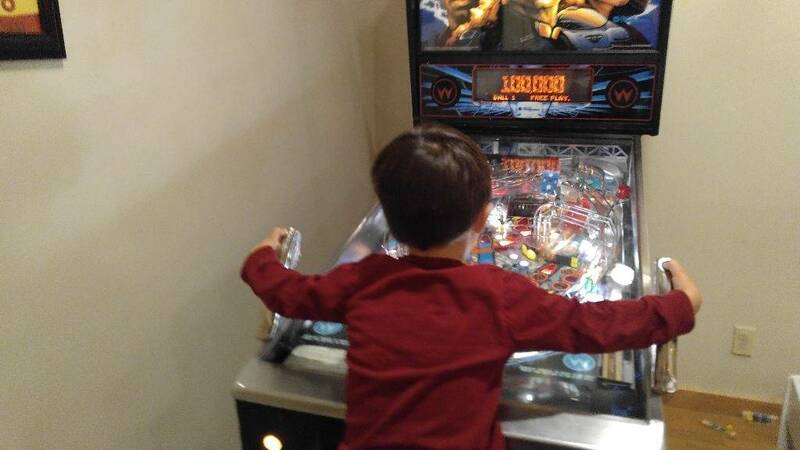 My son is 6, and love playing at various locations, but I've not been able to get a pin yet. Soon though! So awesome! They seem to be enjoying themselves. I came into this thread a little weary because of the title (some people are a bit more forceful about it when the kids have no interest), but looks as if they're both having tons of fun. Super cute! It's cool to hen seeing more and more kids getting into playing - even just a little. 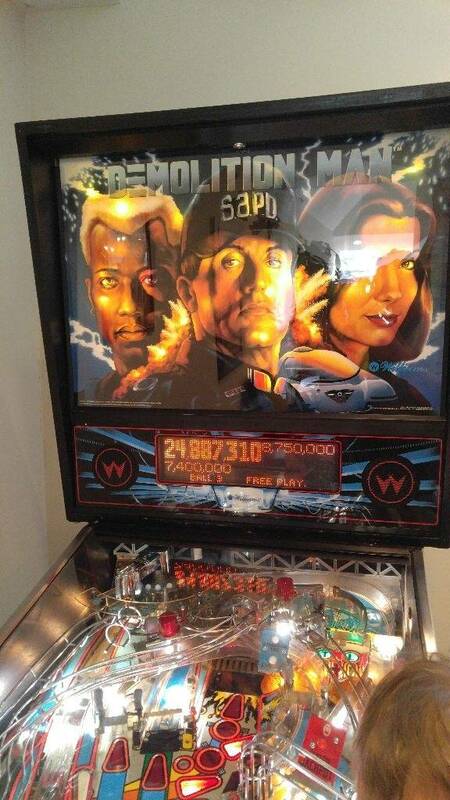 Y'all may or may not have seen, but that's how I got into pinball. 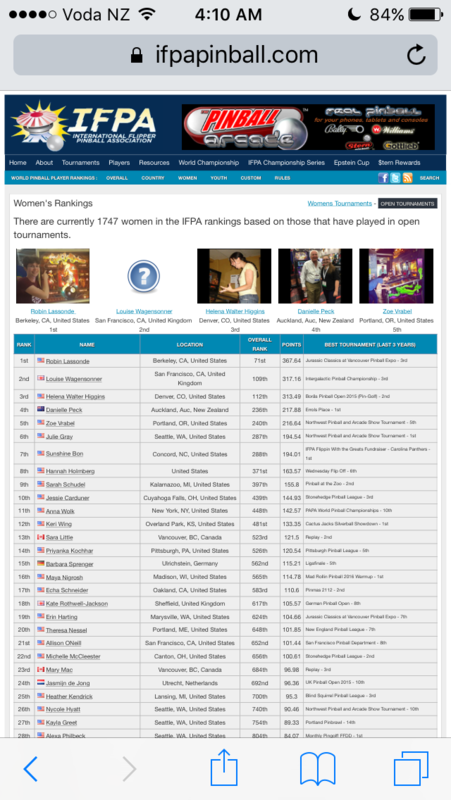 I played as a little child, and now I'm ranked 4th woman in the world (currently) at 15 years old. I'm not going to say I'm not happy, because I am. 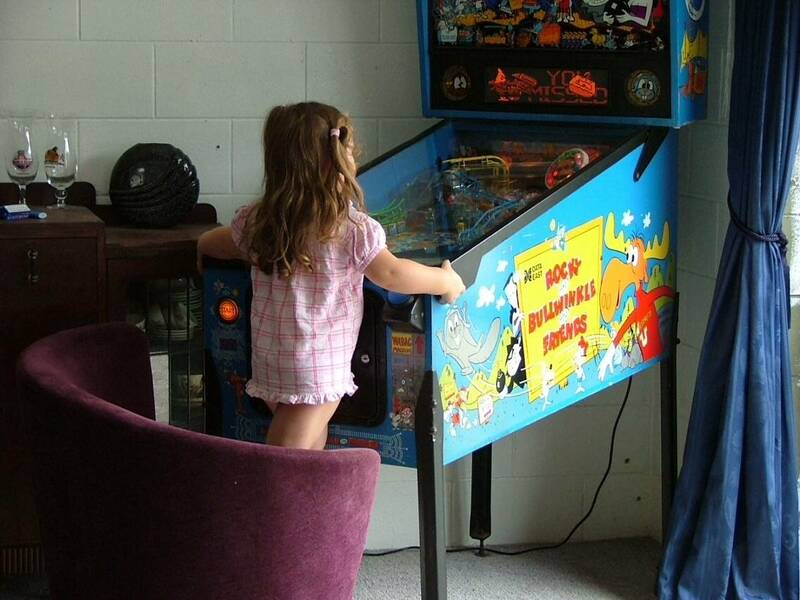 Pinball can become a lifelong thing for people to enjoy. 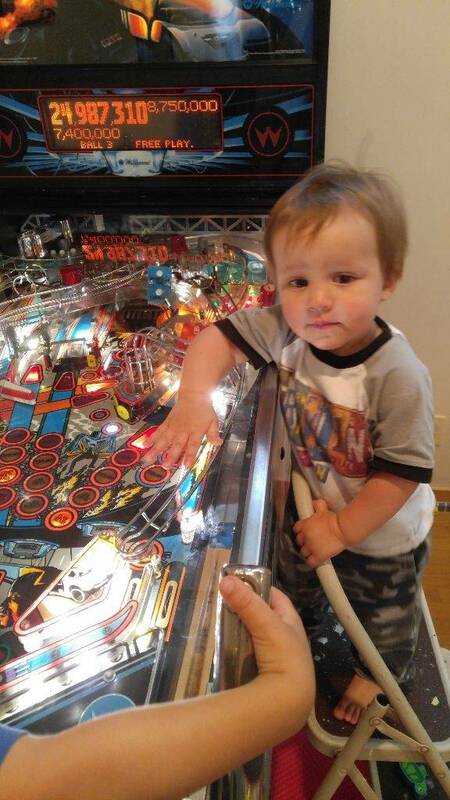 Judging from those photos we may have some future (or current, for that matter) pinball hobbyists! 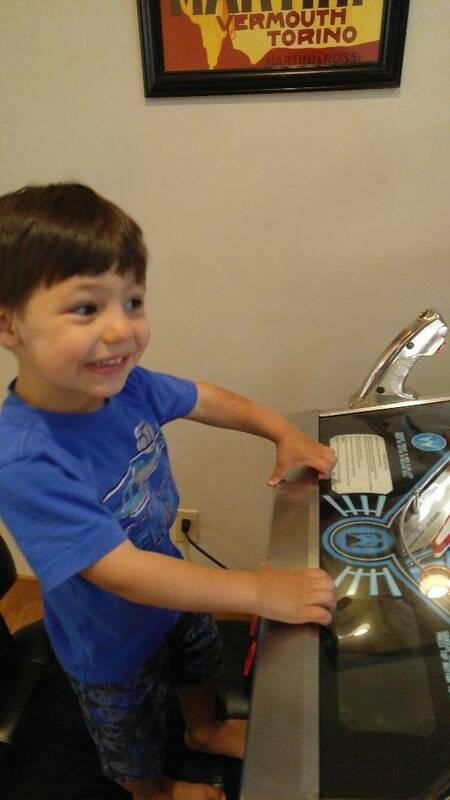 My son is 2 1/2 and enjoys pinball quite a bit! 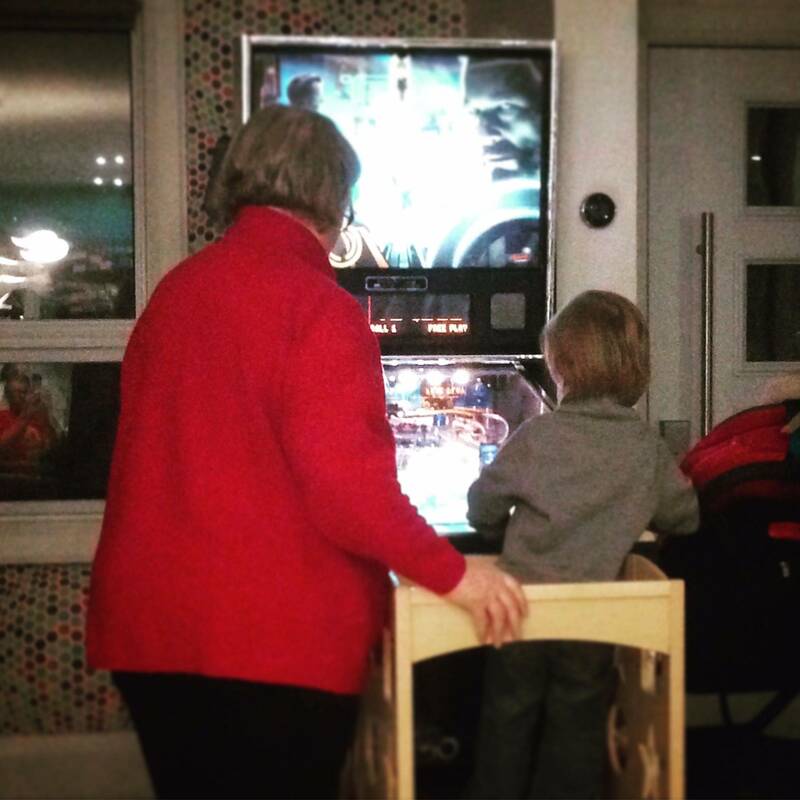 Here he's playing split flipper with grandma. Awesome guys. My oldest is 3 and the younger is 16 months. 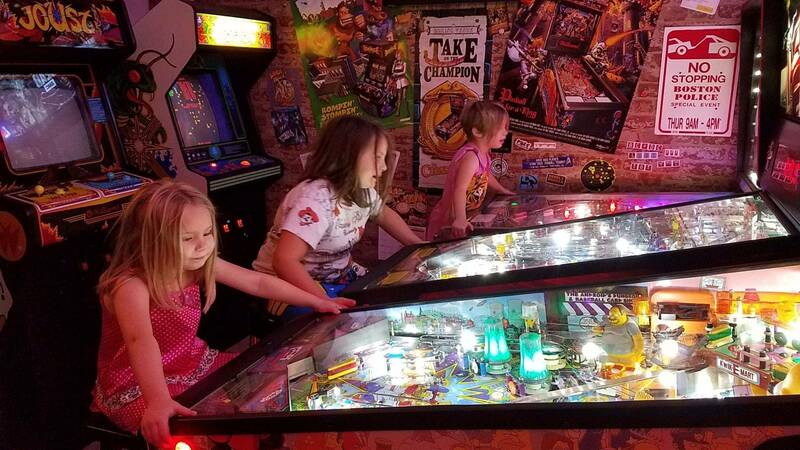 It's hilarious because I'll ask the younger if he want's to play pinball and he runs, not walks, to the machine and starts it up. My 3yo Stevie trying to kill all the sharks on my new baywatch. 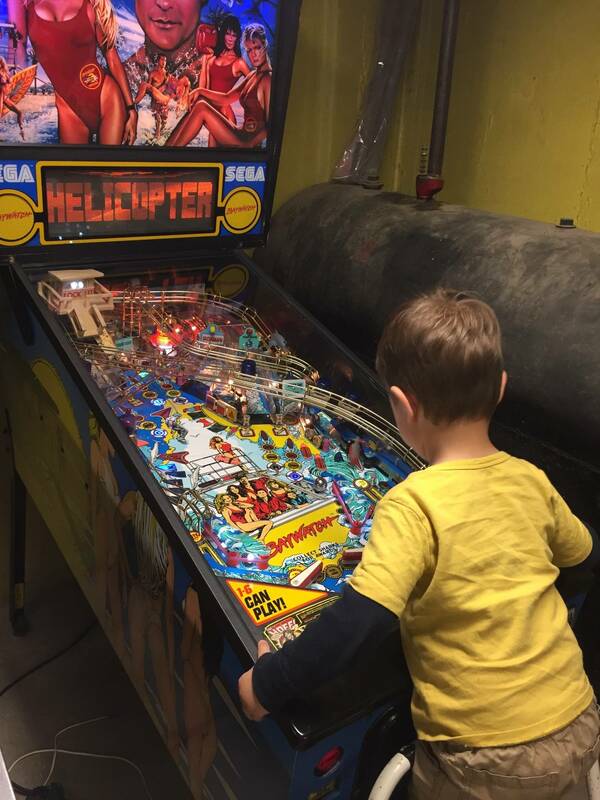 He loves all the sharks on this one and animals on my police force.... he also gets a kick out of the police car multiball starter.